The Golden Spoons: Happy Holidays! I'm taking a blog break for the holidays so I can spend time with my family. I'm also going to use the time to do some blog planning for 2015 and write some anthology submissions. I hope all of you have a wonderful holiday and I'll see you right back here in January!! **There is still plenty of time to join my One Word Blog Challenge to kick start your writing in 2015!! CLICK HERE for more information! Oh I have my blogs planned through 2015, guest posts through July, and Go Ask Daddy through 2019. Wait, that sounds braggy. Merry Christmas to you, and thanks for being so awesome to me. It is a little braggy, but also awesome!!! I would love to have things panned out that far in advance! How do you do it? Hope you had a great holiday! Thanks Dana! 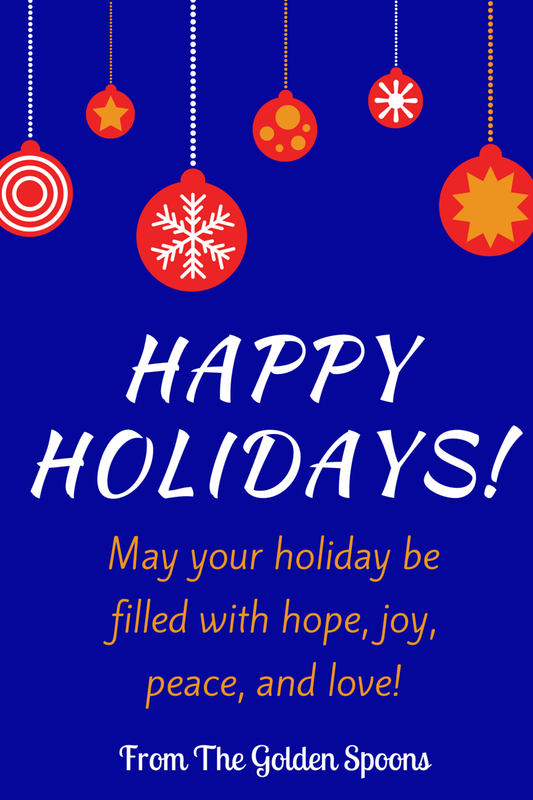 Hope you and your family had a wonderful holiday!